If you live in DTSS and you find yourself craving a juicy burger and you're too lazy to walk or don't want to deal with parking, Stage Burger Lounge is now delivering. It's a minimum of $20 so this might be a good idea for when you're really hungry or with friends. Delivery applies to a 1 mile radius. UPDATE on the Burger post above. 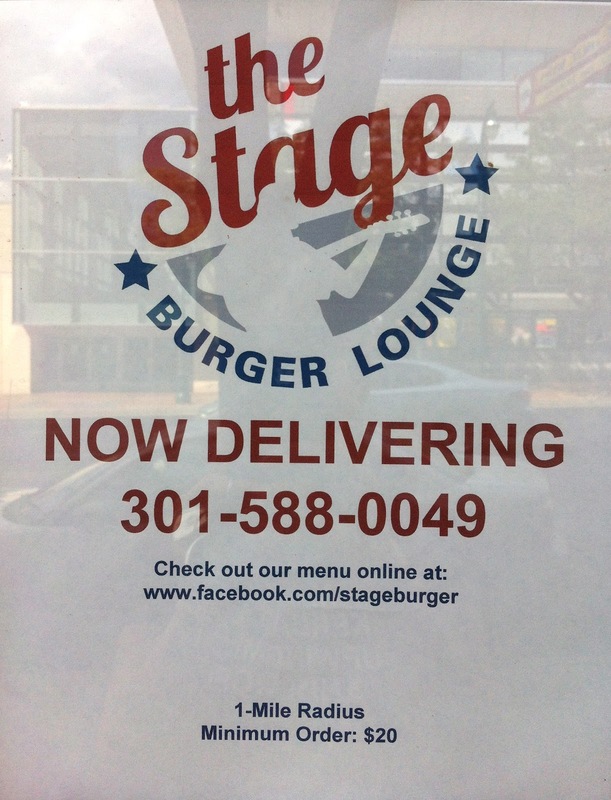 Stage Burger Lounge is no longer delivering. It lasted all of a few weeks and then they decided to cancel because "it wasn't working out", as per one of the employees. Not sure what that means. Potential great idea FAIL! I found a really cool glass art table at Fenton Street Market. Ryan Eicher, who was manning the table, designs and creates the glass art out of his garage. 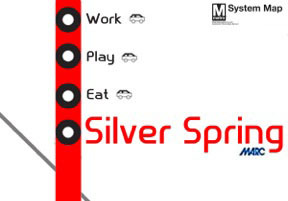 He's local to Silver Spring and grew up in Woodside. He started when he was in high school and now he features and sells Homegrown Glass Art at local markets. He mentioned they can usually be found at the Fenton Street Market in addition to Eastern Market. If you can't make it to either, you can purchase his art on his Etsy site. Homegrown Glass Art table. I scooped up a ring holder which made for a great gift. Next time you're taking a stroll on Ellsworth, check out some of the featured art by local artists from Pyramid Atlantic posted up in between the DSW and the future H&M. And if you glance hard in between the art through the glass, you can check out H&M's progress. As per their press release, H&M is expected to open in September 2012 and brings the center’s occupancy to 98.3%. Don't forget about the VanGo free shuttle every 8 minutes Monday - Friday from 7am to 7pm. It would be great to see those hours extended through 10pm Thursday - Saturday for going to dinner and going out especially for the winter months when it gets colder out. Here is a list of all their stops. Over The Line Festival is going on through July 29th. Check out my blog post here: Music. Dance. Theater. All Under One Roof. One of my previous blog posts mentioned the Crowne Plaza on Georgia turning into a Sheraton on July 12th but the new date is now July 19th. Here are some renderings on what the interior is supposed to look like. Unfortunately the outside did not get a face lift. Fantasy Nails (not in DTSS but in walking distance from the Silver Spring red line metro stop) on Georgia has a new location - launched right across the street from their old location (which is still there and open for business). $19.99 manicure & pedicure at the new location. Lucky they are launching that special since they are in competition...with themselves. Thanks for this! 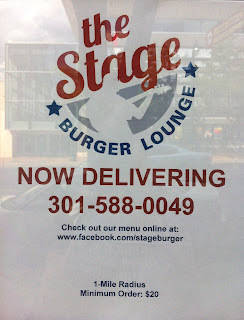 Can't wait to check out Stage Burger! This could be dangerous! I can see myself ordering > $20 worth of burgers when the wife is out for dinner. This could be dangerous. I could see myself ordering > $20 worth of burgers when my wife is out of town. Good scoop! "H&M is expected to open in September 2012 and brings the center’s occupancy to 98.3%." Yeah, just the bit of leftover space from the Boarders/H&M transition. Though the Living Ruff space is opening up so we'll see what they add there. Noticed the La Madeleine beer licence purchase announcement go up at Ga./Wayne. Hopefully they'll be moving in in the fall (and hopefully that compels the neighboring landlord to renovate the junky check cashing store next door - worst building in 20910, easy). Music. Dance. Theater. All Under One Roof.